Mr. Peng’s CR advice is a helpful! Many students, like me, have trouble with the reading passages. More posts with strategies for specific types of ques. and reading passages would also be really helpful! (psst… students are DYING for a GOOD CRITICAL READING book / advise!! 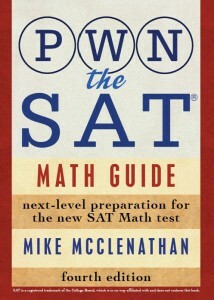 since we have none…) Where can I find Peter’s “The SAT Decoded” to look at/buy? My “SAT Decoded” book is still in the works. Perhaps you’d like to be one of the first to check it out (uncompleted of course) and give me feedback/proofreading? If you like it, tell your friends. I know that I am not in the conversation, but I would love to read and critique the book as well you can email me at remia8872@yahoo.com, Students need a CR book, and Im sure if SaT decoced has as many other tips it will be a hit! It’s an all-encompassing book. That means plenty of love to go around for Math, Writing (w/ essay), and Reading. But it’s still a work in progress, meaning I’m still in the process of writing it now. I’d actually argue that for kids who truly have the reading skills down in the first place, the most effective strategy in many cases is to simply forget the answers entirely and learn to answer the questions for real. The correct answer is the answer that *rephrases* an idea or concept in the passage — if someone can identify that idea or concept, even very generally, it often (note I say often, not always) isn’t too hard to figure out which answer matches it most closely. Most kids are shocked to discover that sometimes their actual answer appears almost word-for-word in the choices. The wrong answers are designed to make you doubt yourself — if you can determine the general criteria that the right answer must contain before you look at the answer choices, you no longer have to worry about each choice individually because you’re looking *for* something, and if an answer doesn’t contain it, it has to be wrong. You have to be very strict with yourself and also very willing to accept that the answer might not be phrased in a way you’re expecting, but if you can get past those two things, this approach works like nothing else. It also eliminates a lot of timing issues because you simply don’t wast time weighing each answer individually. If someone has the skills and is willing to work like this unhesitatingly, their score can literally go up 100 points overnight. Not all questions are amenable to this kind of approach, and it certainly won’t work for kids with weaker skills, who need to start by looking at the answer choices, but almost all of the kids I’ve worked with who improved their CR scores by 100+ points (some to high 700s) learned to work like this. It’s much harder in some ways because you stop relying on the test so much to help you, but in other ways, it’s much, much easier because it lets you cut through all the crap the test throws at you and just focus on the essentials. It gets rid of a lot of hand-wringing. No doubt about it…there’s no substitute for true comprehension. That said, I’m not arguing that my strategy is the most effective strategy for anything. It’s just one way to not doubt yourself so much. I’d agree with your strategy to an extent. In the “reading in chunks” strategy I advocate (which isn’t really discussed in detail in this post), I actually do have students try to come up with their own answers before looking at the choices. But this is often not possible, even for good readers. And you hit the problem on the head – it really only works with students who already have decent/strong reading comp skills. Many students I work with aren’t there yet. If they tried to answer themselves, they would come up with answers that are anything from the complete opposite of the correct answer to answers that seem to come from nowhere. Totally agree that the strategy simply won’t be as effective with the low to middle scoring students. I had one student who thought the difference between a soap opera argument and an argument happening at one’s breakfast table was that one argument is high class while the other is low class. In the end, I realized he only saw the word “opera” (often associated with high society) and didn’t really know what soap opera meant. He also missed the main idea of the paragraph entirely, which was about distinguishing fact in real life from fiction on TV. Also, the answers are often not something even smart readers would come up with on their own. Page 736 in the Blue Book 2nd edition has a prime example of this situation. #10’s right answer is D (being politically wise), but it’s not something a reader who totally understands the passage would likely come up with. Even I would have said something much more specific…maybe “they prevailed because they supported equality for all, not just benefits for women.” It’s very unlikely anyone would say they are “politically wise” without first seeing that answer choice. I somewhat disagree with you on this point: “You no longer have to worry about each choice individually because you’re looking *for* something, and if an answer doesn’t contain it, it has to be wrong.” For the most part, that’s true…but not always. Question 10 again…I would be looking for an answer that says something about equality for all, yet the answer is being politically wise. I’d have to understand that being politically wise entails equality for all, but students looking to match their own answer with the choices would miss the question here. There are also questions that are impossible to solve without reading the choices first. Check out #19 on page 737 of the Blue Book. This question specifically requires you to pit the choices against the others. You can’t come up with the answer to this question on your own. You could have an idea of the things Douglass opposed, but until you know all the choices, you won’t know if one thing is “more consistently opposed” than another thing. No doubt, coming up with the answer beforehand (when possible) helps tremendously, but as you mentioned, that strategy won’t cover every question. I also find it to be a huge time-waster if students can’t come up with their own answers quickly. The students grow frustrated if they can’t figure out how to word their answer precisely. They think and think but still don’t get it in the end. Yet, seconds after skimming over the choices, they frequently know the right answer. I think we agree more than you realize: I didn’t mean to suggest that the strategy would work for every question, just for many questions. There absolutely certain types of questions that require you to look at the answers, no matter how well you know the test. I would also never suggest that someone waste a significant amount of time trying to come up with their own answer — if they can come close in a couple of second, it’s worth it; if not, it isn’t. Some kids know what they’re looking for but don’t have the skills to verbalize it — in those cases, they have to look at the answers, and it’s a waste of time to make them try to come up with stuff on their own. I’m a pragmatist; I’d never make someone work like that if it didn’t suit them. Coming up with your own answer only works if you 1) have the skills cold, and 2) are willing to try to think like the test-writers. That second one is a very big “if,” and not many people are willing to go there. I only encourage people to work this way if possible because the correct answer is so often phrased in a way that students are completely not expecting — they’ll often eliminate that answer immediately, without really considering what it’s saying, or get caught up “analyzing” the wording of a particular answer without really considering whether the idea itself fits. Yeah, definitely agree with you there…especially on that last bit about analyzing the wording itself (which is important) without thinking about the idea itself. My biggest challenge has been to overcome inconsistency in my students. If they come across one “bad” passage where something, whatever it may be – a single word or phrase, an awkward construction, a grammatical structure, just throws them off. It bombs their score incredibly. Haven’t found a way to effectively help out there yet. I suspect there really isn’t one without years of voracious reading. The problem I have when I try to use this method is I always end up just justifying the correct answer rather than marking the wrong ones. I just can’t get into the habit of looking at the wrong ones instead of finding the right one. Any tips to get into this habit? Well, you have to go through your pain period of forcing yourself to physically write down why each answer is wrong. Yes, physically. Don’t just say, oh yea, I know it’s wrong because it’s not stated and move on. No, you have to physically write it down. Yes, it will be torturous. Yes, it will take you WAY LONGER than normal to do these questions now. But until your first nature is to look for why something is wrong, you are going to keep falling back into your natural habit.Psychologically, not writing it down with your pencil means you are just dismissing the question as oh, yeah, just another careless error…totally could have gotten that one. In reality, because you dismissed it so lightly, you will probably miss it again the next time because you haven’t changed your approach to attacking the question.I repeat…”writing” the reason in your head doesn’t count. It won’t fix problems. If you realize your method of looking for the right answer isn’t working, then you know you have to do something different. Albert Einstein said insanity is when you expect different results from doing the same thing over and over. So you’d be insane to expect NOT falling prey to the same error over and over if you don’t change your approach. You must be extremely discriminating (nitpicky) about why answers could be wrong. Even one word that is slightly off can mean all the difference. It’s like in math…so many ppl try doing mental math, skipping steps in their head. That’s when dumb mistakes like adding 12 instead of subtracting 12 happen. That’s when you forget a negative sign. That’s when you square something instead of taking the square root. That’s when (1/2) squared becomes 1 instead of (1/4). It’s because you’re trying to do it in your head. Let your ego go. NOTHING is too simple to write down. Hell, I’ll even write down steps from x + 2 =10. Next step would be x + 2 – 2 = 10 – 2. Don’t just jump straight to x = 8 and skip writing out the minus 2 step. Same idea here. Don’t just mentally tell yourself why something is wrong. Force yourself to write it down. Physically write it down. Peter this post was super helpful ! Thanks For Sharing !